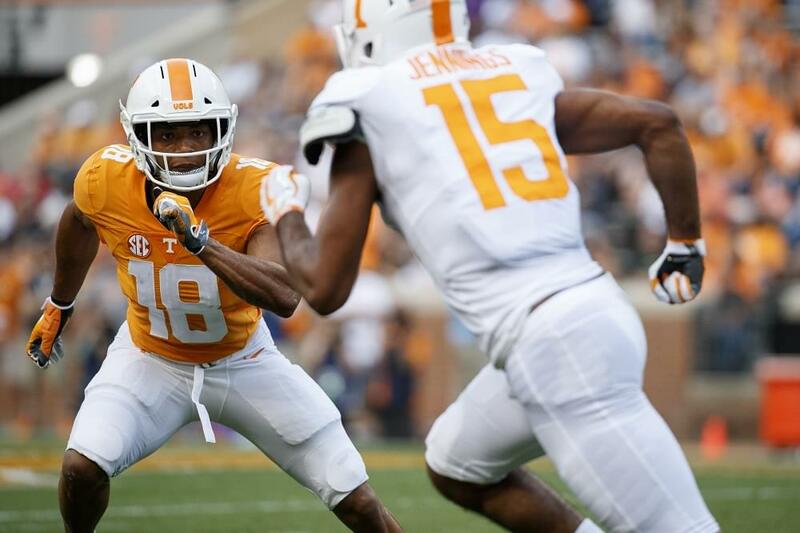 Josh Ward’s Analysis: Gray adds immediate speed to Tennessee’s group of running backs. The former Michigan commit should help Tennessee’s offense immediately as both a runner and receiver out of the backfield. Selected to play in the 2019 All-American Bowl. Set the Tennessee state record for career touchdowns with 138. 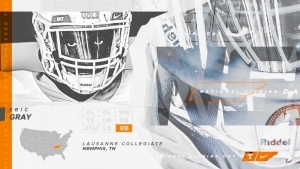 Starred at The Lausanne Collegiate School in Memphis, Tenn.
First player to be named Tennessee’s Mr. Football three times, capturing the honor for Division II-AA in 2018 and 2017 after winning the award for Division II-A in 2016. Finalist for 2018 All-USA National Offensive Player of the Year Award from USA Today. Earned USA Today Preseason All-USA honors in 2018. Earned USA Today All-USA National second-team honors in 2017. Named USA Today All-USA Tennessee Offensive Player of the Year in 2017. Two-time Memphis Commercial Appeal Offensive Player of the Year. Finished with 2,499 yards and 40 touchdowns on 241 carries in 2018 after leading Lausanne to the Division II-AA state semifinals. Rushed for 3,151 yards and 45 touchdowns on 323 carries and added 11 receptions for 269 yards and three touchdowns receiving in 2017. Led Lausanne to an undefeated season and the Division II-AA state title in 2017. Totaled 2,251 yards and 38 touchdowns on 230 carries to go along with four touchdowns and 219 yards on 10 receptions as a sophomore in 2016. According to the Commercial Appeal, Gray has been a middle school math tutor, raised money for Touchdowns Against Cancer, an initiative for St. Jude Children’s Research Hospital, and he held a 3.5 GPA in high school.